Coming with an eye-pleasing design interface, clear layout, light tones, unlimited color scheme and extremely flexible, so you can change anything in this theme: color, background, layout, font, language…to make it really become the store you wish. 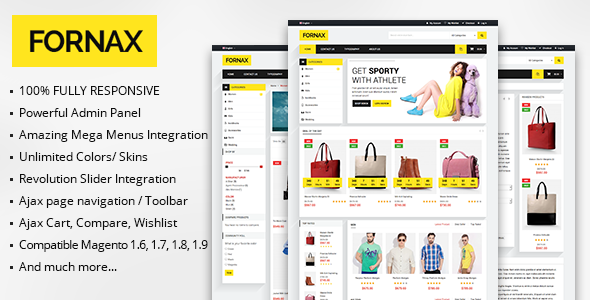 Item Reviewed: MT Fornax Amazing Responsive Magento Theme 9 out of 10 based on 10 ratings. 9 user reviews.